Dame Diana on stage n screen. Dame Diana on stage n screen. Wallpaper and background images in the Diana Rigg club tagged: diana rigg actress tv show film and stage. 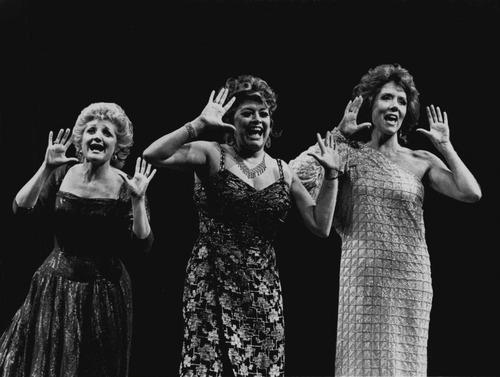 I believe this is Julia McKenzie, Lynda Baron and Diana Rigg in 'Follies'. Yes Countess - It is indeed from Follies! When uploading in bulk it's not always possible to properly tag all the pictures -sorry. Still it's fun guessing the roles, eh?